Although obviously we're not going to complain that a lot of manufacturers are now using Lithium Ion batteries to power their cordless tools, it doesn't mean there's any reason to compromise any other area of design, and we always look for those products making best use of their quicker-charging power. With its intention as a drill, driver and hammer tool, it's fair to say the 18.0v battery adds some serious punch: certainly more than enough to tackle your DIY jobs, with a whole lot more besides to work at masonry too. A clutch override system means that you can shift between the tool's three roles as you like without slowing down, and the speed control, reverse and brake lend a hand toward precise and careful project work. It's worth noting the 24 torque settings, too: something this powerul needs measured restraint to work at its best and avoid damaging either itself or the materials you're working with. You can apply exactly as much power as needed and no more, here: excellent design. The keyless chuck again facillitates speedy bit changes, the onboard bit holder a satisfactory way of keeping everything immediately to hand. The magnetic screw holder is a real boon here too - no more scrabbling around in boxes or keeping them between your teeth. 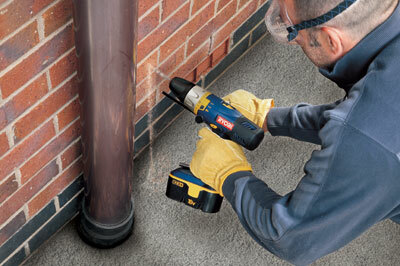 As we've said, control is the key when it comes to using tools that are powerful enough to drill through brickwork, so the supplied depth stop is a welcome addition. Drill holes to a precise length every single time, and have the piece of mind that means you won't have to rely on a "it'll probably fit" moment. Ryobi never fail to impress when it comes to power at a good price, but the CHI-1802 goes the extra mile and singles itself out as an essential purchase. The included charger and carry case only add to the appeal, and any woodworker will feel confident and in control, regardless of the huge amount of potential kick. 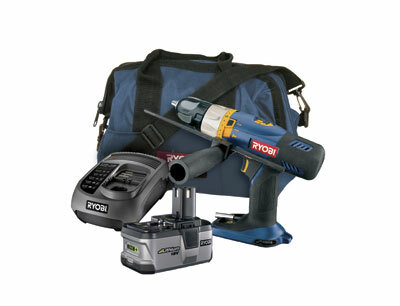 "Ryobi never fail to impress when it comes to power at a good price"